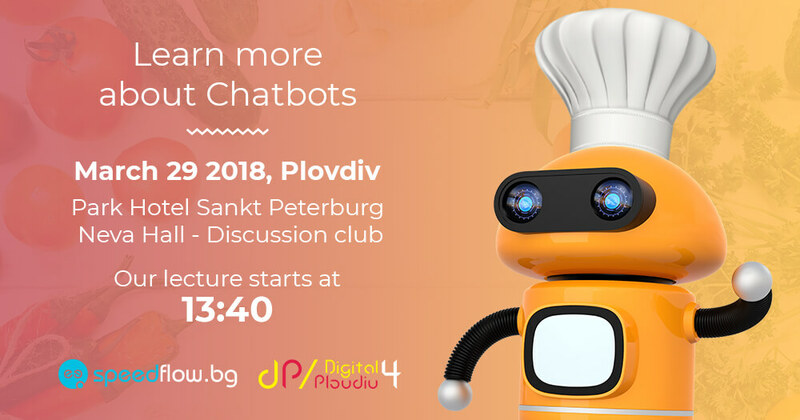 The organizers of Digital4Plovdiv contacted our team with a request to do a presentation on the topic “Chatbot. 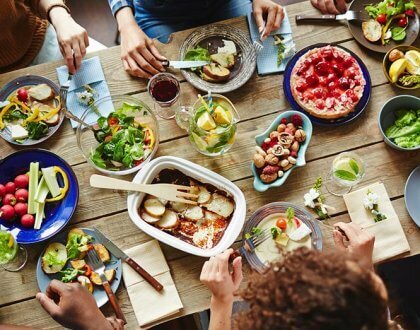 The perfect digital solution for your restaurant” at the Digital Marketing Strategy 2018 for Hotels and Restaurants event. The one-day conference will be held on March 29 at the Sankt Peterburg Park Hotel, Plovdiv. Visitors will be able to receive lots of useful and up-to-date information on how to better manage and grow their hotel, restaurant, or café business online. The program is filled with interesting and diverse lectures on Chatbots, web design, digital marketing, video marketing, 360-degree photos and more – all focused on the HoReCa sector. We are delighted to accept the invitation to be speakers at the conference, as the development of Chatbot Assistants for different businesses is part of our portfolio and the services we offer to our customers. Speedflow Bulgaria even has its own Chatbot brand for restaurants and fast food chains. That is why we would like to invite everybody interested in this topic to join our lecture on March 29, 2018 at the Sankt Petersburg Park Hotel, Neva Hall – Discussion Club from 13:40 to 14:20. What are Chatbots exactly? How can they help you automate your workflow more efficiently and reduce business costs? We will talk about all of that and more. Sign up now to book your ticket with 15% discount using our promo code – Speedflow15D4P. 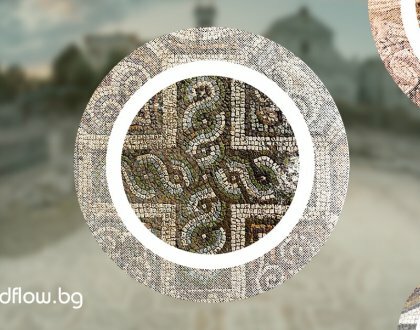 Additional information about the event can be found on the Digital4Plovdiv website. You can also contact us directly at info@speedflow.bg.